Many devices use a spring design which allows fluids to leak into the device that can’t be sterilized or even cleaned properly. While silicone spring cartridges are an improvement over most metal spring design, some fluid still ends up leaking into the cartridge. Below you can read about how to easily test this for yourself. Biolock™ cartridges were specifically designed to resist leaking and incorporate seven safety features to minimize risk from cross-contamination. Of course, the ultimate safety feature unique to SkinStylus® Gold systems is the ability to autoclave reprocess the nosecone. There are quite a few micro pen, microtherapy, and micropigmentation devices being advertised on the Internet. Physicians and skincare professionals are faced with sorting what is marketing hype, what is evidence based, and what features are important to consider when selecting a professional microsystem. The skincare professionals that developed SkinStylus® began researching and developing micro devices as well as training in 2008, several years before most micro pen system distributors jumped on the bandwagon. We analyzed the scientific research, conducted our own research, and consulted with dermatologists, estheticians, cosmetologists, nurses, physician assistants, and other skincare professionals in developing what is now the most comprehensive training available. Since 2008, we have purchased and tested virtually every micro pen device available for sale and made in China, Japan, Germany, S. Korea, Taiwan and other countries. In our search to find a safe, reliable, versatile, and affordable system, we identified a significant issue associated with all current micro devices. Our testing revealed that every device we tested allowed fluids an/or ink to leak through the cartridge and into the device. We conducted many trials with different designs. While some designs were better than others, ALL current designs we tested leaked fluids and/or ink into the motor area of the device. Cartridges labeled as “safety” cartridges leaked too. This motor area cannot be adequately accessed and cleaned and when fluids leak into the motor area of the pen, bacteria and potential bloodborne pathogens can be trapped in the device. Until, SkinStylus®, we could find no micro device that can be autoclave (or by other means) reprocessed without destroying the device. Even though each cartridge is disposable, this becomes a serious cross contamination issue. When a new cartridge is affixed to a contaminated pen, fluids from the current patient are able to leak and come into contact with any bacteria and residue left behind in the device. This fluid mixture can potentially be transmitted back onto the skin and could potentially be introduced into the skin of patients. As many procedures performed with a micro device may involve some blood, this presents a risk of cross-contamination. Unlike SkinStylus® Biolock™ cartridges, cartridges that use a metal spring with a direct path for liquids to leak into the pen have been shown to allow significant amounts of fluids to easily leak into the motor chamber of the device. Once liquids are inside the motor, it is not possible to sterilize the device. Cartridges that claim to be “safety cartridges” and incorporate a silicone membrane spring instead of a metal spring design, while more resistant to leaking than metal spring cartridges, have been shown to leak around the area where the silicone membrane comes into contact with the rod. Unlike other microsystem distributors, at SkinStylus® we are also practitioners that use microdevices (and many other devices) on a daily basis. We are keenly aware that if an adverse cross-contamination affecting a patient were to occur, it would be OUR own respective license and malpractice insurance in jeopardy. Bearing this in mind, we encourage practitioners to perform the following simple test on the cartridges they are currently using. One way to quickly observe if a microcartridge leaks is to perform this simple test. Please be sure to avoid coming into contact with the sharp microneedles. Hold the cartridge in one hand with the needle end facing up. Place a few drops of liquid into the end of the cartridge, push in and out on the spring rod (both metal and silicone spring systems) at the opposite end of the cartridge and then observe if the liquid leaks out of the end next to the rod and onto your finger. If the liquid can drip or otherwise leak through the cartridge, there is a strong probability that it is getting into your micro device motor area with no way to properly clean or sterilize the device. A question was raised about the validity of this test due to whether or not microcartridges actually get turned “upside down” or as can be described as the opening of the cartridge facing the ceiling. Having trained hundreds of practitioners and performing countless microprocedures ourselves, we can definitely attest to maneuvering a micro device in such a manner that the cartridge is facing towards the ceiling. To demonstrate this for yourself, think about the position the microcartridge is in when you adjust the depth guide as well as the position the microcartridge is in when you are performing a procedure just under the chin or jaw line. There are many more practical examples of this position. We have seen this “upside down” position countless times while observing students performing microprocedures and even more times watching Youtube® videos published by other companies and practitioners. As practitioners, we invented the SkinStylus® MicroSystem and Biolock™ to solve the issue of cross-contamination with the use of microdevices. SkinStylus® microdevices are marketed for and have an intended use for micropigmentation. International and American physicians have submitted photos and data which may or may not show expanded functions of the device that SkinStylus® is not marketing. Purchasers and users of any SkinStylus® System are strongly urged to comply with any federal, state or local restrictions for its use. Esthetic Education LLC courses are designed for informational purposes only and both SkinStylus® and Esthetic Education LLC do not purport to furnish legal or medical advice. Additionally, the content of this website is for informational purposes only. We have engineered a patent pending, seven element safety system that greatly reduces the risk of cross contamination. Our Biolock™ cartridge incorporates a labyrinth design with absorbent membranes and liquid expelling ports to ensure fluids cannot leave the cartridge. At SkinStylus®, we believe in redundant safety systems. The Biolock™ cartridge is screw-affixed to ensure that it cannot come off unexpectedly during a procedure and to also snugly seat the cartridge into a removable, aluminum, nose cone. The seated end of the Biolock™ cartridge has a female connector with a silicon gasket that engages and seals off the drive piston of the micro device. 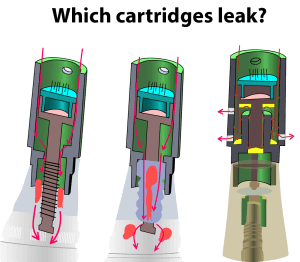 In this way, any fluids that could have exited the cartridge would be forced away from the sealed drive piston of the micro device and become trapped inside the nose cone. The SkinStylus® was designed to have the nose cone removed and autoclave (or otherwise) reprocessed after each procedure. The Biolock™ cartridge is one of the only cartridges that is gamma ray sterilized which offers true sterility upon initial use. Biolock™ cartridges are available in single, 11 and 36 pin configurations giving clinicians true flexibility and more treatment options. Although, the outside casing may look similar to other micro devices, SkinStylus® MicroSystems incorporate the latest advances in motor efficiency, battery life, and the flexibility of both corded and cordless power systems. SkinStylus® incorporates the Biolock™ cartridge to prevent liquids from entering into the microdevice. More importantly, SkinStylus® is the ONLY microsystem that can be autoclave reprocessed! The components were carefully selected and our one year warranty speaks to our confidence in the quality of our design. As busy practitioners, we always want to be prepared and not have to turn a client away. The SkinStylus® Professional System includes two identical micro devices ensuring that there is always a backup device available. We carefully designed SkinStylus® Microsystems to incorporate all of the essential features that busy skin care professionals should expect from a professional system, all at an affordable price point. Many micro device distributors have created quite a stir by starting a debate over cordless versus corded devices. One group of distributors claim that only corded devices have the necessary torque and power to avoid having the cartridge dragging on the skin. This group makes a big deal discussing “duty cycle” and how powerful their micro devices are compared to cordless machines. Some of these manufacturers have made up fancy names to describe how fast the device works and have made extravagant claims, citing that the device can create 1300 microchannels in one second. Another group of micro device distributors cite the advantages of “going cordless” over their corded competitors. These distributors make a big deal over maneuverability issues with the power cord attached to a device. At SkinStylus®, we have purchased and tested virtually every commercially available microsystem. Our testing and research has found that while corded power options do provide slightly more power, most cordless machines currently being manufactured have more than sufficient power to efficiently operate without dragging on the skin. We believe that discussions and claims about “duty cycle”, power, and torque are merely marketing tactics and have little impact on the function of the device. Making claims that one device is “more powerful” than another is misleading to the practitioner. We did find, however, that several of the “less expensive” systems found on Ebay and Alibaba, did not have sufficient power/torque to penetrate the skin (micropigmentation) without significantly dragging on the skin. We highly discourage practitioners from wasting their money on these non-professional devices. SkinStylus® MicroSystems are modular and provide the practitioner with BOTH corded and cordless power options. Our state of the art motor unit is both efficient and powerful with plenty of torque and battery running time. We have focused on including technology that actually matters to the practitioner, such as the ability to autoclave reprocess the device and creating a cartridge (Biolock™) that doesn’t leak. The various microsystem distributors usually package one micro device motor, one power option, topicals, and some amount of cartridges. Before we developed SkinStylus® MicroSystems, we were approached by and met with several of the biggest micro device distributors looking to have us provide our comprehensive microtherapy training while distributing their devices. When we looked at what these companies wanted to charge the skincare professional, the proposed cost was over $7000 for a system with just one device. Fast forward three years. When we developed the SkinStylus® Professional Kit, we wanted to provide a micro system that was technologically advanced, could be autoclave reprocessed, durable, loaded with features and options, and one that was AFFORDABLE. The SkinStylus® Professional Kit and the SkinStylus® Quickstart Kit each contains more features and equipment than any other advertised professional microsystem at price points SIGNIFICANTLY LOWER than any other system period. CLICK HERE to learn how SkinStylus® can revolutionize your practice! In addition to testing and developing microsystems, we have spent years searching for topicals designed for use with micropigmentation. Our research and testing has shown us that most topicals being marketed for microtherapy are merely existing products being relabeled to take advantage of “microtherapy’s” popularity. We looked for topicals that contained active ingredients with peer-reviewed research demonstrating efficacy in beautifying the skin. When we could not find any such topicals we decided to develop our own, EstheCeuticals®. After three years of testing and refinement, EstheCeuticals® incorporate the most effective combination of research supported active ingredients to provide exceptional results (beautifying the skin) while avoiding ingredients that rely on marketing hype, not research. EstheCeuticals® represent the finest specialized products for professional use at very reasonable prices.